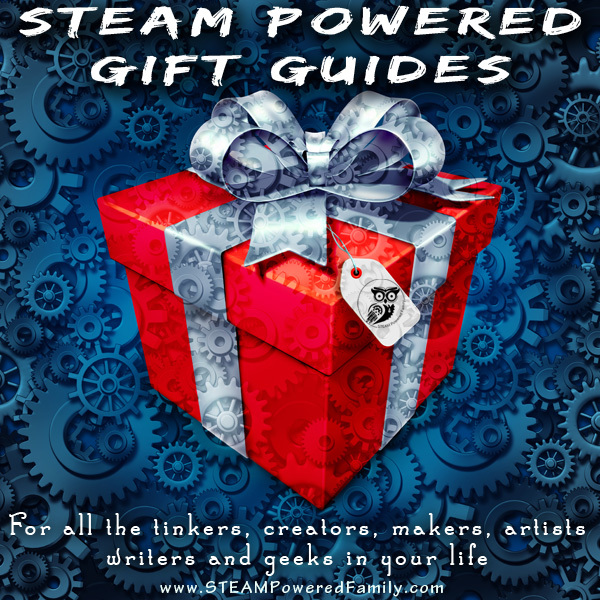 STEAM Powered Gift Guides – From tinkers to makers to creators and artists, young scientists, writers and even blacksmiths, packed with unique gift ideas. 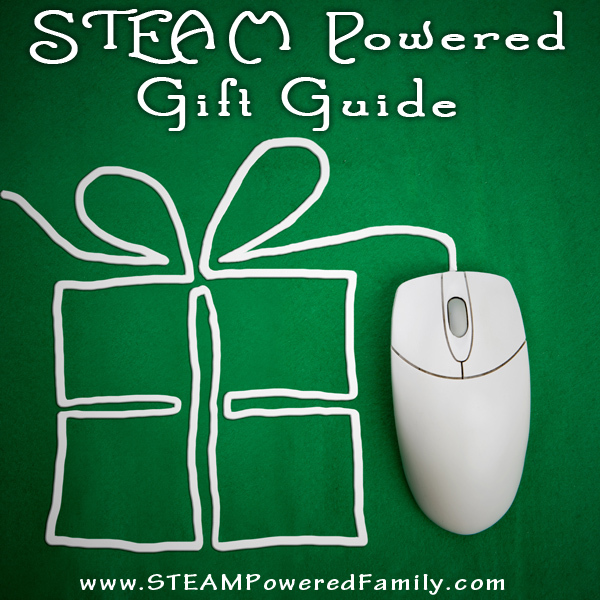 STEAM Powered Gift Guides is your resource for ideas, inspiration and thoughts to help you find the perfect gift. Whether it’s for the holidays, a birthday or just because someone in your life is awesome, we’ve got some amazing ideas here for you. 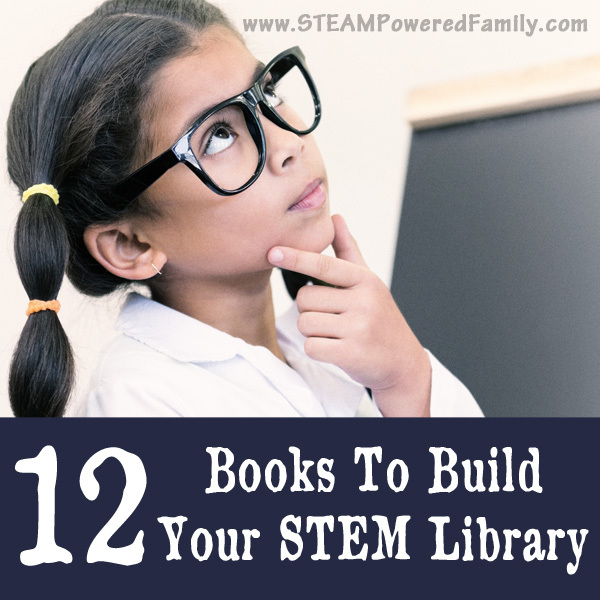 From tinkers to makers to creators and artists, young scientists, writers and more, we’ve got you covered. 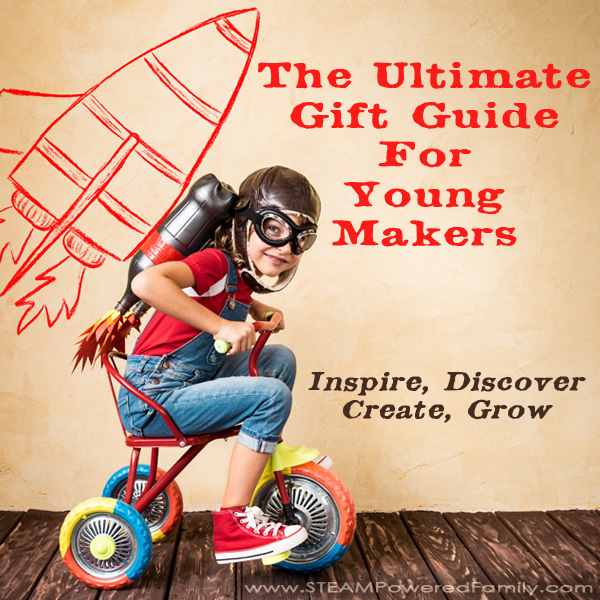 This page features links to all of our gift guides. 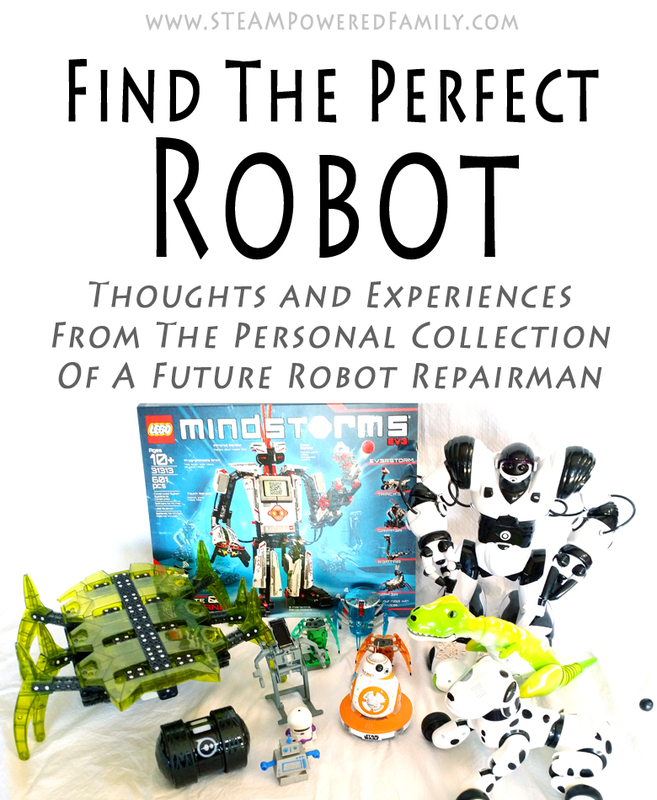 I’m often asked for gift suggestions and over time I’ve developed many guides for different purposes. 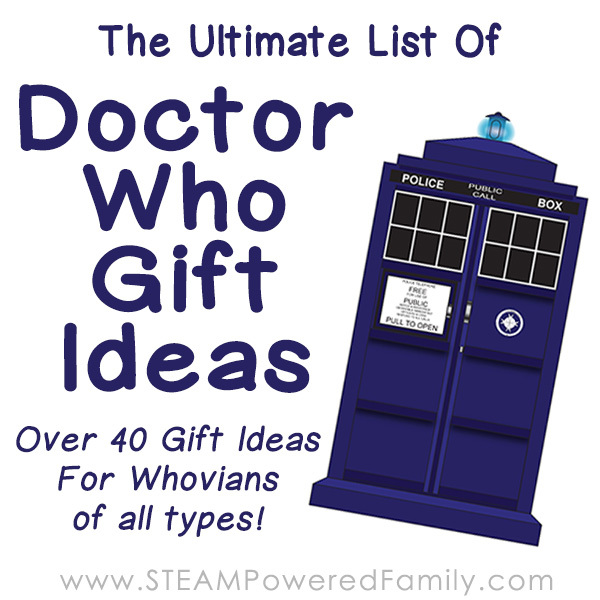 There are hundreds of gift ideas on these pages. 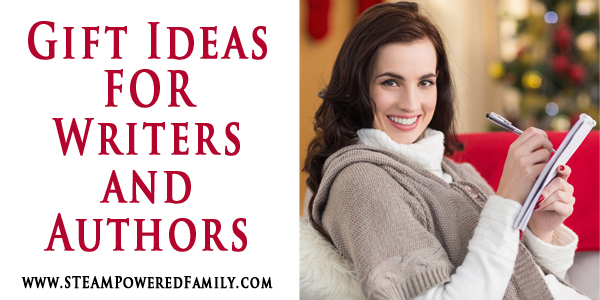 If you can’t find what you are looking for, and need more ideas, drop a comment with your request. I might use it as inspiration for a future gift guide. Happy shopping! 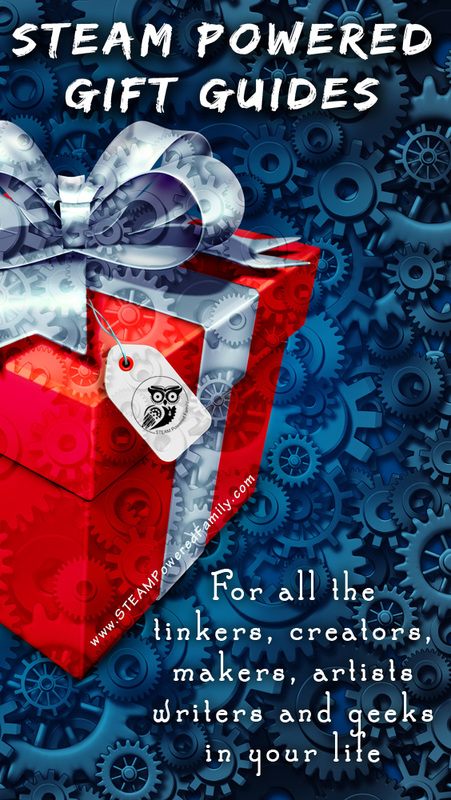 Click on the images to be taken to the gift guide. 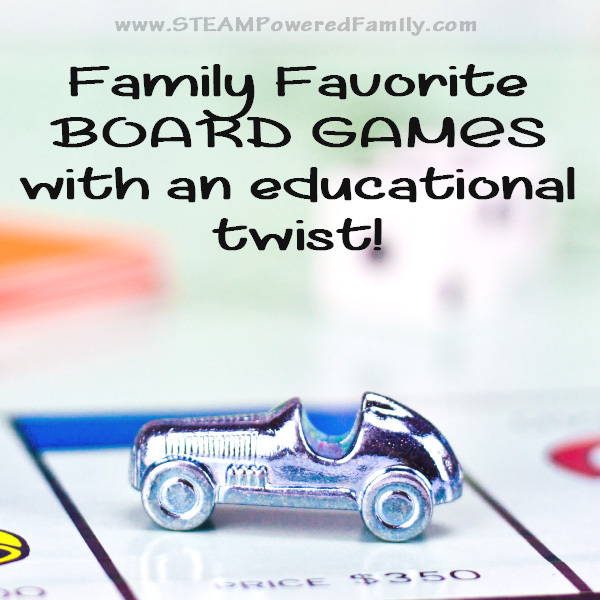 Here at STEAM Powered Family we are an educational site. 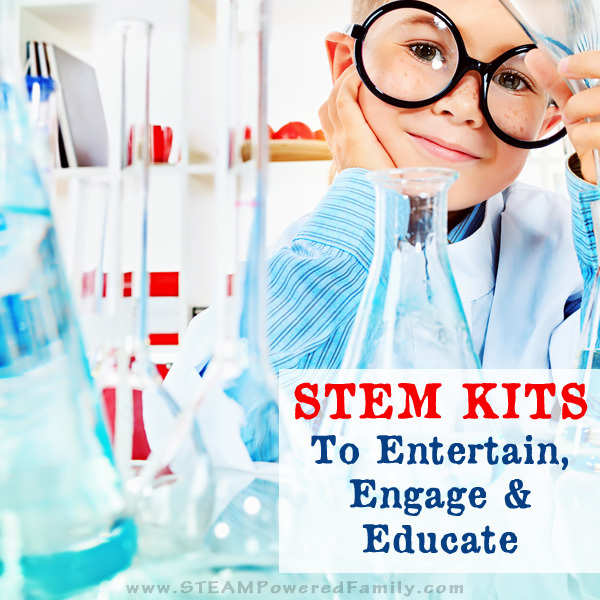 We love our Sciences, Technology, Engineering, Arts and Math (well my oldest might disagree about the last one). So it makes sense that we have a lot of gift guides with an educational flare. Don’t mistake educational for boring! 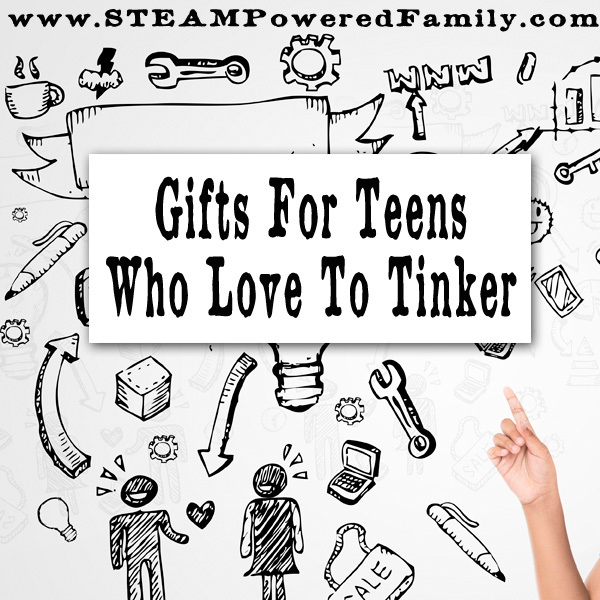 These are some of the most exciting gifts that often provide years of use. 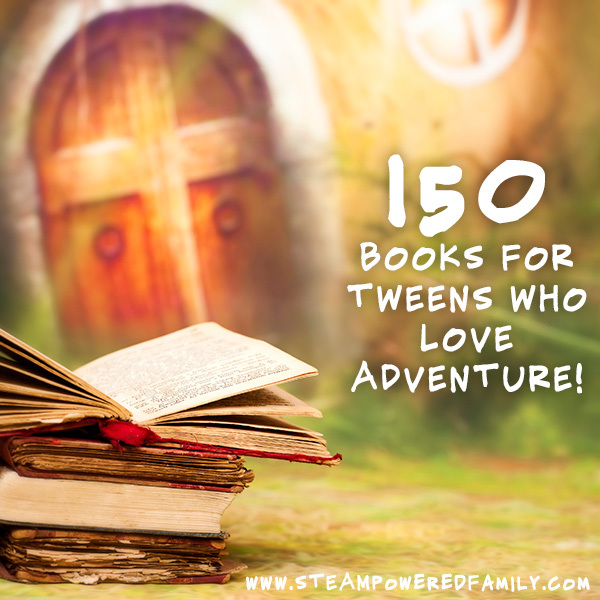 From tinkers to makers to creators and artists (even blacksmiths! ), we have lots of ideas here for you. 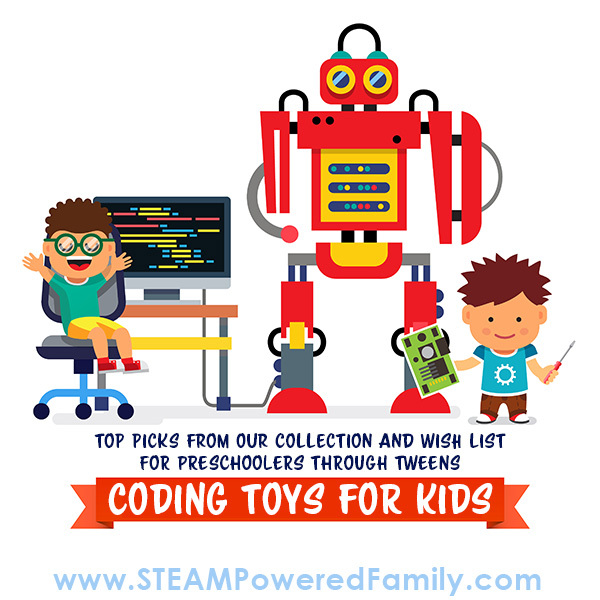 We love to embrace our geeky ways around here, so it makes sense that we have lots of geeky gifts on our lists all the time. Doctor Who, Firefly, Game of Thrones and more. If there is one thing I love giving and receiving it’s books. 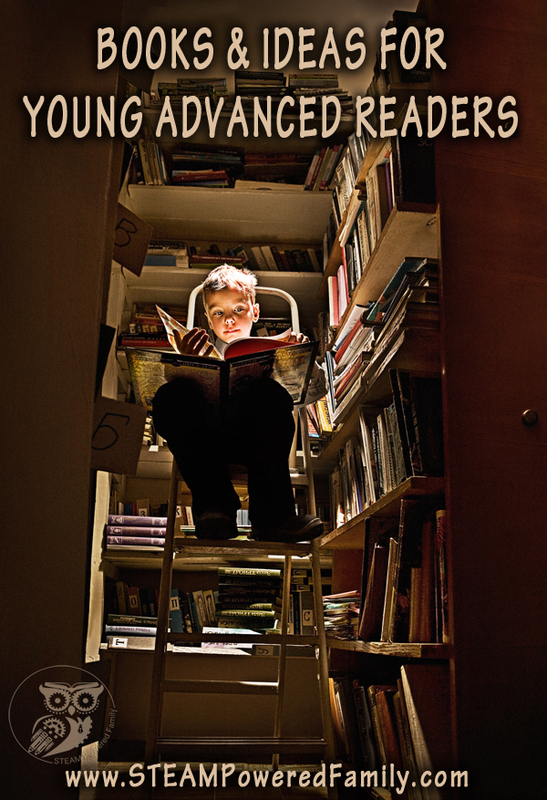 My house is overflowing with books. I don’t even have enough bookshelf space for all of them and have boxes in the basement, but I still love getting a new book. 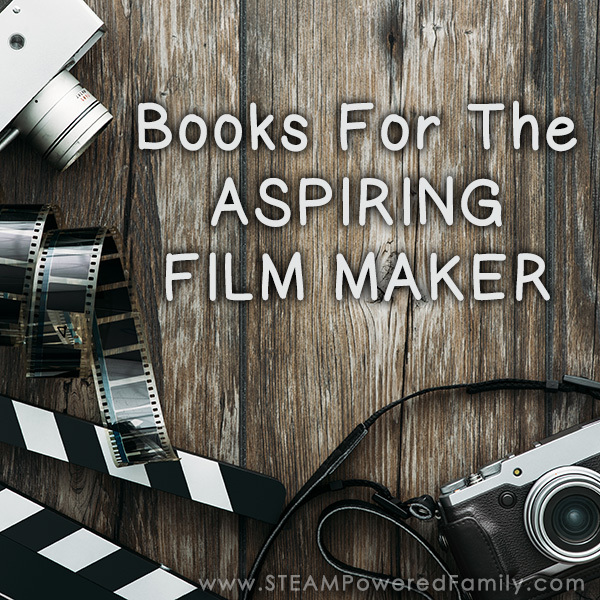 Whether they are educational non-fiction that will teach me a new skill or a epic novel that is going to take me on a wonderful adventure, a book is the one thing that is always on our lists.